This post was brought to you by Silhouette America. What better way to learn about frog skeletal system than to actually have a 3D model in your hands? 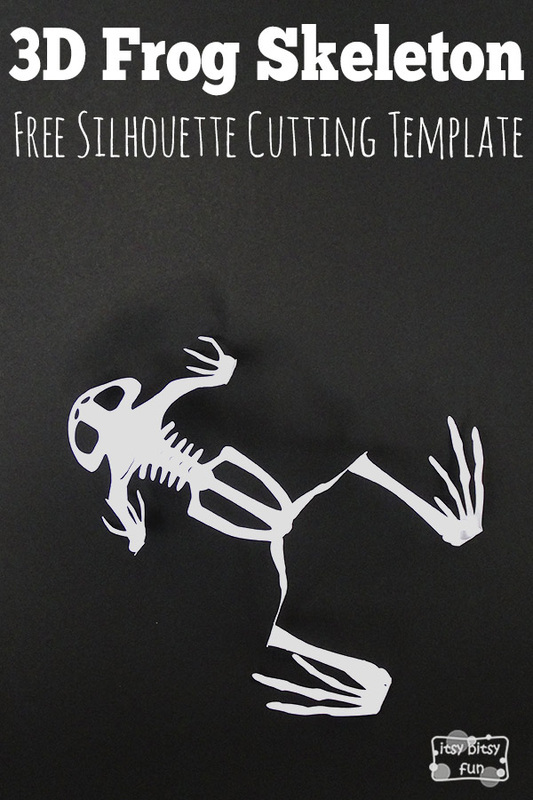 Now if you are a teacher buying a frog skeleton model for every student to have is really not an option so I do hope this printable template will be a great solution for you! If you have a Silhouette cutting machine you’ll have dozens of frogs ready in no time and each student can have a model of their own! You’ll also find a printable template you can cut by hand if you don’t have the machine (although I imagine cutting 20 of these isn’t really a option haha). P.S. : These would also make a pretty spooktacular Halloween decoration wouldn’t you agree? 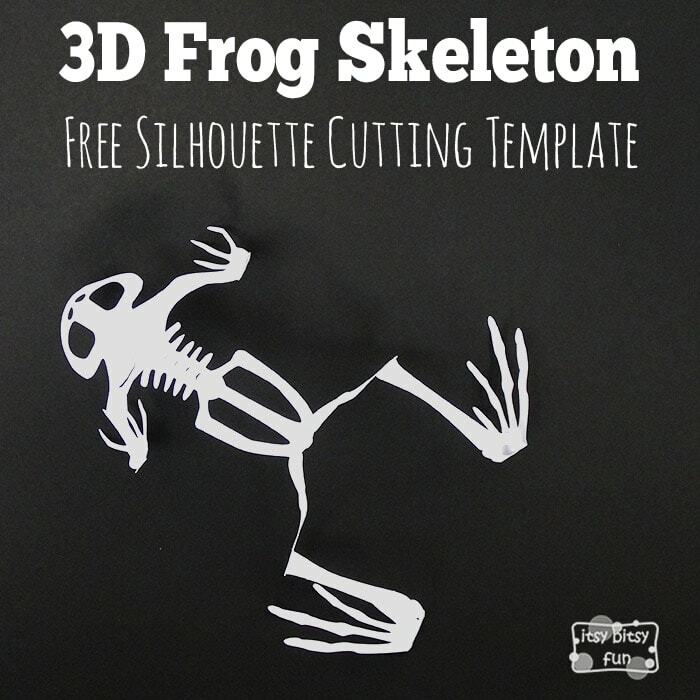 This little frog is perfect for teaching kids about frog skeletal system in the classroom (or in the home) as you can easily make one for each of your students and they can even take them home! First I cut mine on a thick white paper – not exactly a card stock thickness and not a regular print paper – something in between (I have no clue how I got that paper) but while it was OK a card stock version (try number two) was way better and much sturdier – the frog was even able to make a jump(ish) when pressed down and released. Once the Silhouette machine does it’s job I would recommend using their spatula to separate frog from the mat – it can be done without but it’s soooo much easier with a spatula. Now that you have your frog skeleton template you will need to bend the legs, pop out the scapulae, vertebrates and ischium (tail like thingy). You now have an awesome looking 3D frog model!